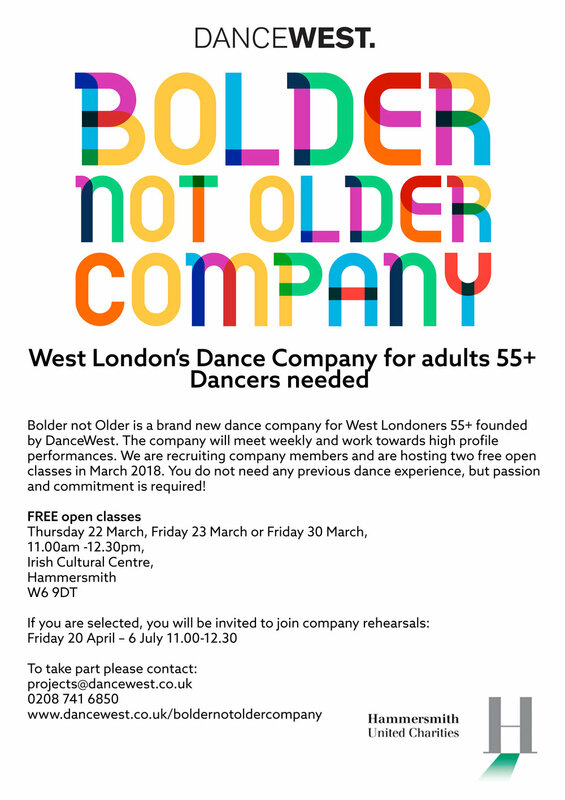 Bolder not Older is a free dance programme for adults 55+. DanceWest has hosted two open classes where adults 55+ audition to take part in the company building towards high profile performances. Company members and details will be announced shortly!